Welcome to Dean St. Studios - located in London's vibrant Soho district - where music legends David Bowie, T Rex and The Moody Blues recorded their hits from the 1970s onwards. Our studios are equipped to handle any project you bring to us; from music production and mixing to TV and film audio post and composition. 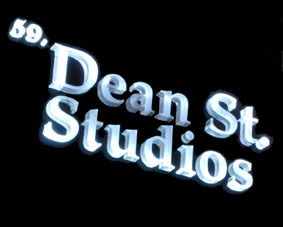 Dean St. Studios is a creative hub for musicians and production professionals looking to develop their projects in a relaxed, state-of-the-art studio environment. We pride ourselves on providing a very private environment for our clients! The control room houses an SSL Duality alongside choice pieces of outboard gear, whilst the live room features various instruments and equipment both vintage and modern. We believe that modern recording requires a different approach on both sides of the glass, looking to strike the balance between old techniques and new technologies. Running alongside our 48 channel SSL Duality we also have 30 additional mic pre's including 16 vintage Neve's as well as various compressors, EQs and effects processors. This mentality of old-meets-new carries over into our 650 sq ft live room which houses all manner of vintage and modern guitars, amps and pedals. Our keyboard collection is of a similar pedigree, including a 100+ yr old Bechstein, a 1970 Hammond C3, (complete with original Leslie) new Mellotron M4000 and George Harrison's original Harmonium. So no more unexpected hire fees! It goes without saying that the SSL is perfectly suited to any mixing project you can throw at it; particularly if you make use of the palette of different coloration's that the outboard racks can deliver.